“Conclusion of the acquisition means that the way is clear for DRDGold to expedite Phase 1 of its phased plan for the development of WRTRP (West Rand Tailings Retreatment Project), to be known going forward as Far West Gold Recoveries, a wholly-owned subsidiary of DRDGold,” said Niël Pretorius, CEO of DRDGold in a statement. The first phase sees DRDGold process tailings from Sibanye-Stillwater’s Driefontein 5 dump at a rate of between 400,000 and 600,000 tonnes per month. The residue from these activities will be deposited on the Driefontein 4 tailings dam. Over the long term, the project is expected to yield some 43 tonnes of gold over a 15- to 20-year period. Pretorius also announced DRDGold had secured R300m in a revolving credit facility (RCF) from an unnamed bank for the first phase. It had confirmed orders for long lead items and expected to be in production in the first quarter of next year. “We are excited about the partnership with DRDGold which unlocks value for our under utilised surface infrastructure and TSFs (Tailing Storage Facilities) while retaining upside to the WRTRP and future growth in DRDGold,” said Neal Froneman, CEO of Sibanye-Stillwater. Crucially, Sibanye-Stillwater has an option to acquire just over 50% in DRDGold in the next 24 months at a price 10% below the 30-day volume weighted average traded price of a DRDGold share on the day prior to the date of exercise of the option. Said Froneman: “Further value will be derived from the future development of this long life surface reclamation project, which will benefit all of our stakeholders, particularly those in the region”. Pretorius, normally a figure of modest restraint, has been bullish about the benefits of the deal even in the face of criticism that he had handed away the ‘keys to the kingdom’. 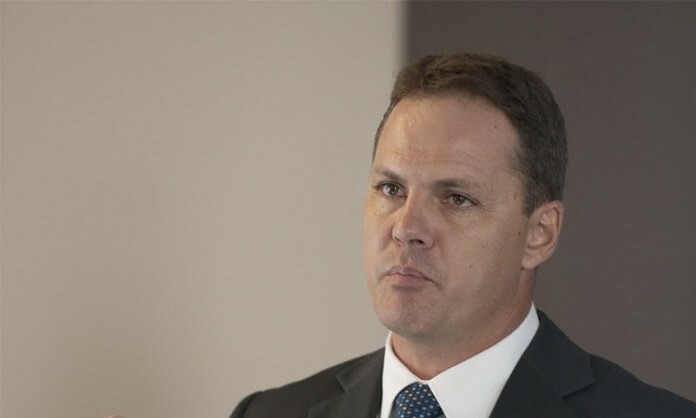 Responding to questions in April at the firm’s March quarter results about the impact on the transaction of the then lower rand gold price, Pretorius said that: “Instead of making a huge crap-load of money, we’re just going to make a crap-load of money”. Providing Sibanye-Stillwater with an option was in the interest of shareholders as the company had simultaneously locked in a 90% increase in its reserves, he said. Shares in DRDGold are 30% lower since the announcement of the deal. There are still issues to be addressed, however, including the scope of capital expenditure required of DRDGold. Notwithstanding the recently arranged RCF, the full estimated capital expenditure for the development of the reserves held by Far West Gold Recoveries could be anywhere between R2bn and R4.2bn – a size of investment that has raised fears DRDGold will resort to using shares to finance it.